Smashers are back and they're Grosser than ever! 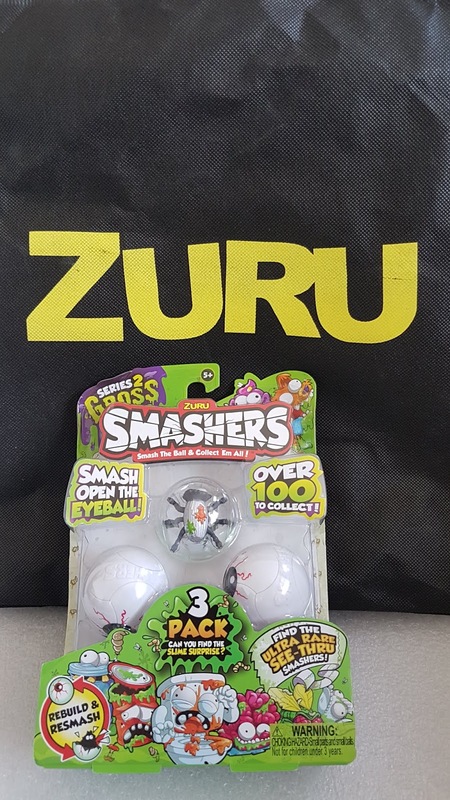 The Smashers Gross Series 2 from Zuru Toys are back with a over a 100 brand new collectibles to collect. We were sent one of their Triple packs to see how cool they are for ourselves. 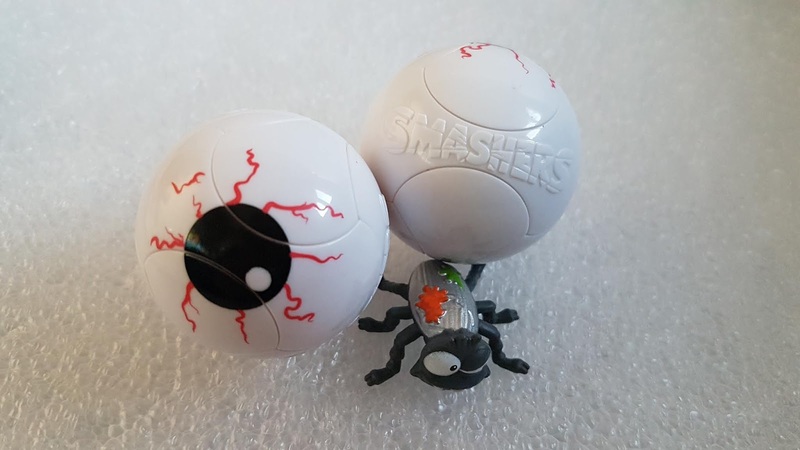 The original smashers came in little red balls whereas these ones come in really cool white ones with eye balls printed on them. 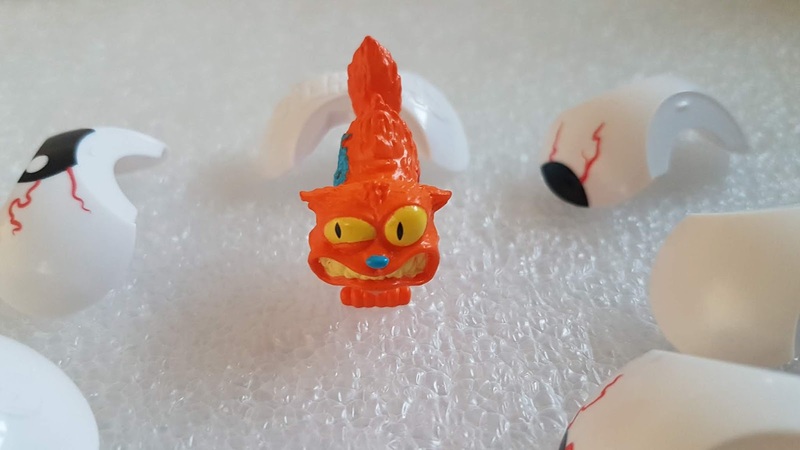 The idea is still the same, you just throw and smash to find your surprise disgustingly gross character hiding inside. 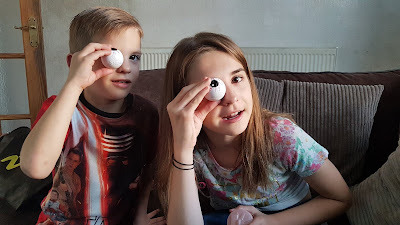 My youngest two loves these things, I think it's the whole surprise element that keeps them wanting more. Once they get one, they need them all. A Triple pack costs just £2.99 at the moment from Smyths which makes them perfect for your kids 'pocket money' toys. I really like the fact that they're quite cheap as it means I can buy lots of them for Christmas and it won't cost me a small fortune to have one very happy little boy. Ryan who's 8 now, loves playing with these. 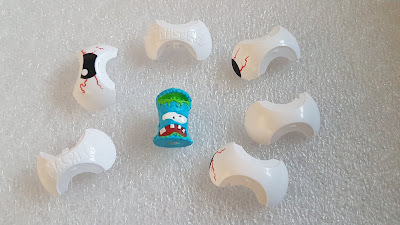 He gets so excited that he's actually allowed to throw them on the floor or at the wall to smash them open. I'm forever telling him not to throw his toys on the floor so he loves that these are the exception to that rule. 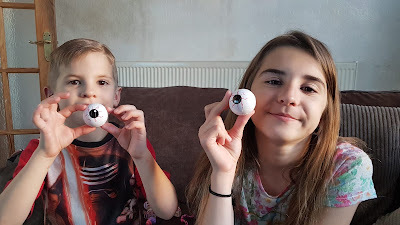 Both Ryan and Lily were really pleased with the three characters they found inside their Smashers, they're going to be great for Halloween. 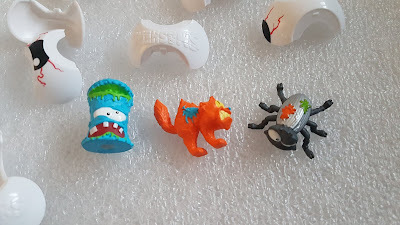 We now have the start to our Series 2 collection which I'm sure will be expanding pretty soon as the kids are already asking me to get them some more. My two love surprise toys and collectibles so these Smashers tick both boxes. They're fun and thrilling, exciting and gross. Everything my children love. The Smashers Gross Series 2 Triple Pack gets a huge thumbs up from Ryan and Lily. Disclosure: We received our Smashers Gross Series 2 Triple pack in return for an honest review. All opinions expressed are 100% honest and entirely my own.